We are people who have accepted Jesus Christ as Lord and Savior of our lives and, rather than become distracted by unbiblical programs and activities which Jesus Christ never intended for the church, have committed ourselves to the Scriptural mandates of: making disciples (Matthew 28:16 – 20); meeting the needs of the poor, downtrodden, and oppressed (Matthew 25:31-40; Luke 4:18-19); and living as a spiritual community of unconditional love, faith, and fellowship (Acts 4:32-33). 4) Through the power of the Holy Spirit, ALL church ministries, programs, and activities align with at least one of the Kingdom-focused tasks of the Christian church: worship, evangelism, discipleship, missions, service, and fellowship. 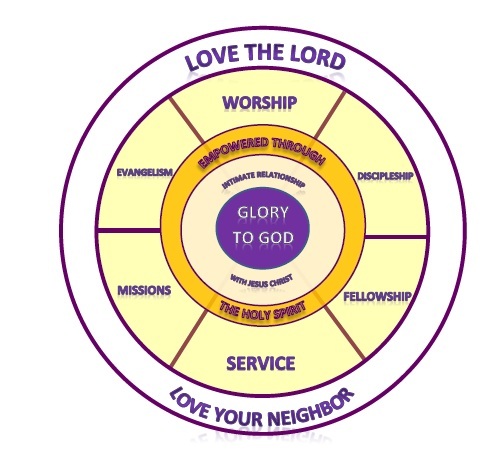 5) Through this Christ-centered and Kingdom-focused commitment to the tasks of the Christian church, First Lynnhaven demonstrates love for the Lord and love for our neighbor. Sunday School: 9:30 a.m. | Morning Worship: 10:45 a.m.